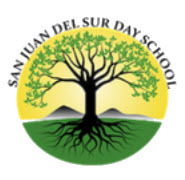 San Juan del Sur Day School is seeking an ESL (English as a Second Language) Instructional Assistant to begin this month. Hours are 7:30 a.m. – 2:30 p.m., Monday-Friday. Lunch and transportation to and from school is included. Housing may be available for the right candidate. Salary is USD$450 per month (January-June 2019). The job of Instructional Assistant - ESL was established for the purpose/s of assisting in the instruction of limited/non English speaking students (grades 1-8), performing classroom and non-classroom translation tasks and serving as a resource to other school personnel requiring assistance with non-English speaking persons. Instructional Assistant will report to Lead Teachers. -Devise special strategies for reinforcing materials or skills based on the understanding of individual students, their needs, interests and abilities. -Consult with teachers, counselor and/or administrator as may be required (e.g. selecting materials to be used, implementing lesson plans, any concerns related to student, special information, special learning needs, cultural appreciation, etc.) for the purpose of receiving and/or conveying information regarding students’ activities and progress. 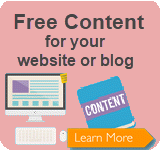 -Instruct students individually or in groups with lesson assignments (e.g. planning daily activities/lessons, modifying lessons, listening to students read, tutoring, etc.) for the purpose of presenting and/or reinforcing learning concepts. -Monitor individual and/or groups of students in various activities (e.g. classroom, library, playground activities, field trips, lunch room, assemblies, etc.) for the purpose of providing a safe and positive learning environment. -Performs record keeping (e.g. maintaining student records, scheduling, copying, translating lesson materials, etc.) for the purpose of supporting the teacher and/or administrator in providing necessary records/materials. -Translates verbal and written communication(s) for the purpose of assisting students, teachers and parents in communicating effectively. -Write documents following prescribed formats, and/or present information to others; and understand complex, multi-step written and oral instructions. 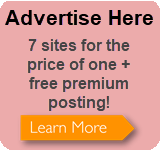 -Understanding of stages of child development.